Those of you that are already using the new Apple Airpods as you will go to everyday headphones, may be interested in a new accessory called the PodClip. 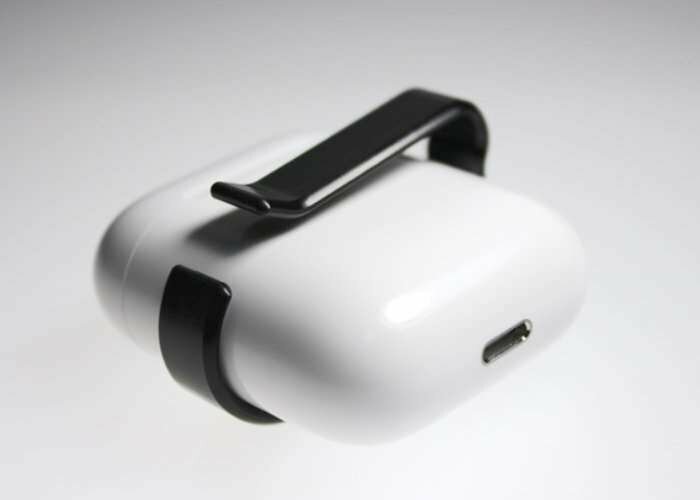 As the name suggests provides a convenient way to clip on your Airpod charging case to your bag, belt or anything else, that to a minimal billet aluminium clip. Watch the demonstration video below to learn more about this simple clip which can add a variety of different options to carry your Apple Airpod with you. PodClip has launched via Kickstarter this week with pledges available from $16 and shipping expected to be started during May 2017. It’s designers explain more about the inspiration behind the minimalist clip for the Apple Airpods.